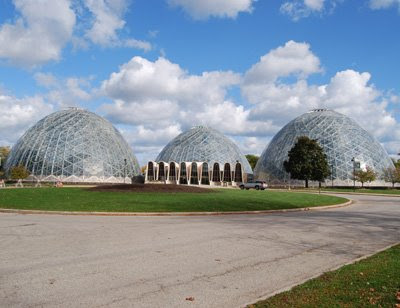 The Mitchell Park Domes re-opened on October 20th after being closed for renovation. The three domes; Arid, Tropical, and Floral Show, were built between 1959 and 1967. The grand reopening will be on the evening of November 5th, and the domes will be open to the public, with free admission. What are the domes for? This photo is like when nature and collided. =) Very pretty.